I hope to make use of the extensive knowledge here on this great forum! 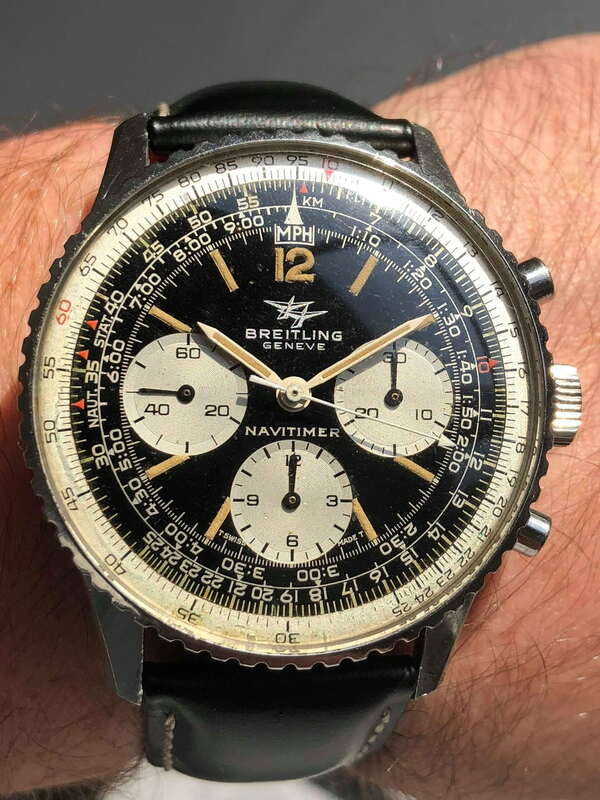 Currently I am considering to buy my first Breitling; an 806 "Big Eye" from 1970. The private seller send me the following pictures, I will see the watch in person in a couple of days. What I would like to know is if you guys see any concerns, I heard some say that the lume on the hands looks to be too good, what do you think? Further, what do you reckon the (EU) value of this watch is? Thanks in advance for all of your help. Aesthetically it looks OK to me (I can’t comment on the movement), although it does look like it has been re-lumed completely, not just the hands. That said, I think it is a pretty good job. Of course, everything depends on price. To get an idea on that, search current listings on Chrono24 and watchrecon, and recent sales on eBay. yes, have to agree, although the first small pic I saw still had me on the fence. relume overall, but very well done. as I‘ve received some additiinal pics through pm from others inquiring for you, note the caseback too is incorrect, it comes of a GP model. note the caseback too is incorrect, it comes of a GP model. Last edited by buddman on Tue Nov 06, 2018 2:00 am, edited 1 time in total. What is the difference between the caseback from a GP 806 vs a steel 806? i deleted my comment before your's as on reflection I'm not sure either. I though it was because it said "stainless steel" but thats not it. Hi guys, thanks a lot for your comments! texture is incorrect - and on hi res pics u see the watch has suffered some moisture/humidity damage (look at the sliderule), so this would also affect the lume; a bit at least. 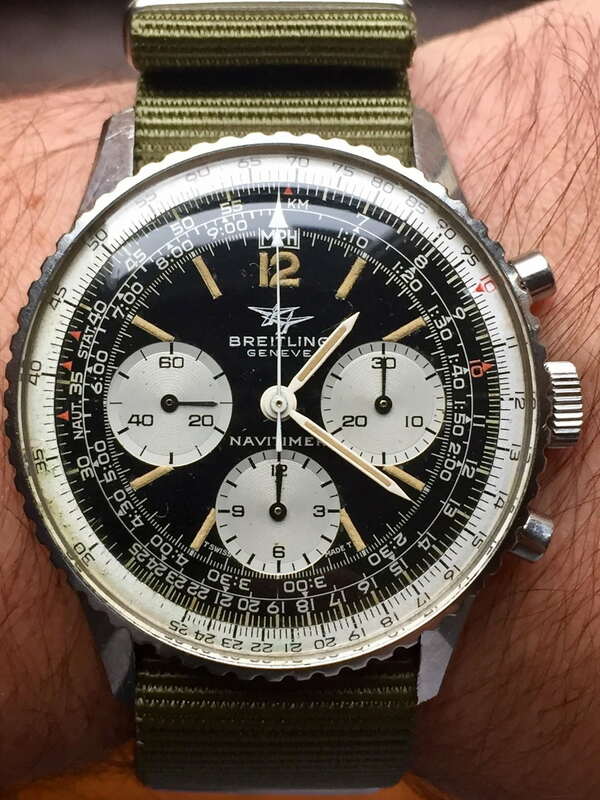 also the precise same lume on hands and dial is highly atypical for Navitimers. "all original" with an incorrect caseback from a gold plated version. yes, production errors do & did occur, but very, very unlikely. Last edited by WatchFred on Tue Nov 06, 2018 4:14 am, edited 1 time in total. 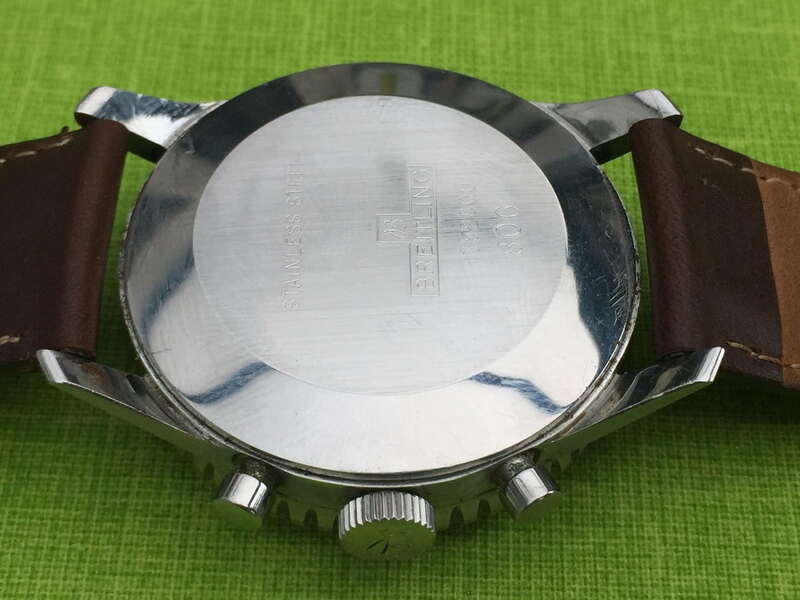 re caseback: as said above, I‘ve received some additional pics through pm from others inquiring for OP, caseback is marked "Stainless Steel Back", so clearly intended for a plated piece. Just wanted to add my 2 cents on the lume. I also subscribe to the theory that it is a relume. The original dial when made has a defined white area where the lume was applied. It it would have been added quite neatly to fully fill the white space. As the lume ages, it 'puffs up' and recedes from the white edge, so it eventually looks a bit like an extruded tube of custard coloured icing (the right metaphor escapes me) in the white space. So you get this tube of lume (lume-tube - now my patented term ) with visible white space around it. In the OPs piece, you can see the lume-tube in shape, but the lume colour extend all the way to the white edges. To me it looks like someone has applied new faux patinated paint, without removing the old lume. Just a theory. 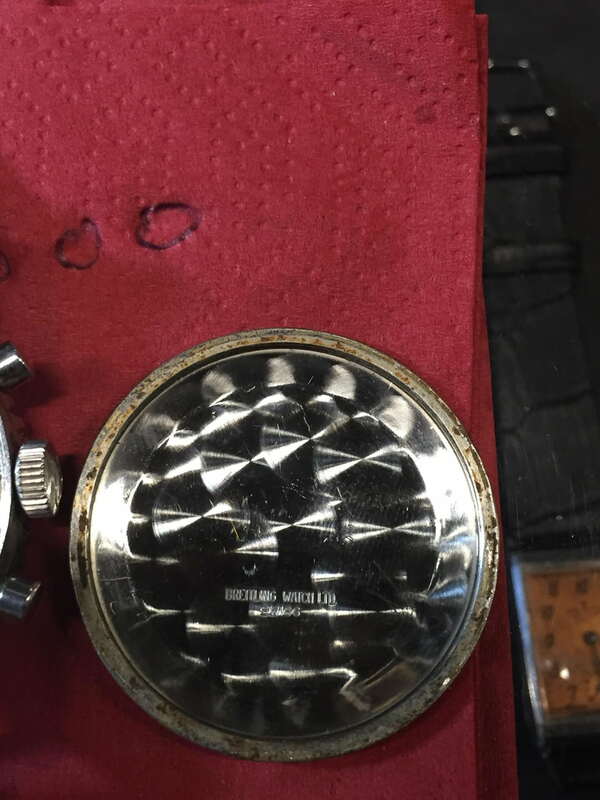 Re case back - I removed my comment because the caseback looked to say just 'Stainless Steel', which is correct for a steel case. 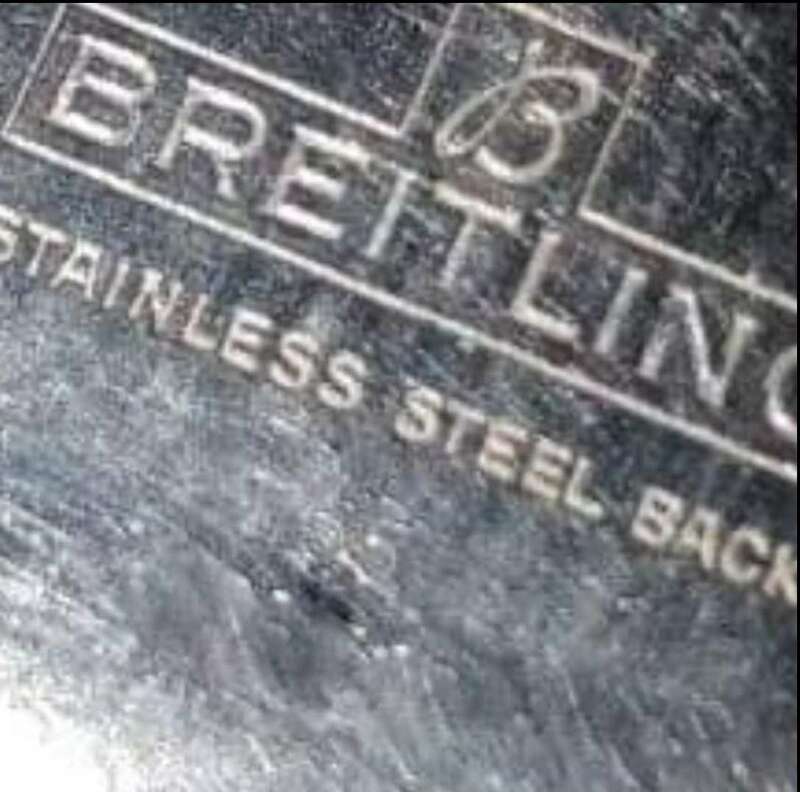 As Fred rightly describes, if it says "Stainless Steel Back" it was destined for a gold case. There must have been some mix up regarding the pictures unfortunately. 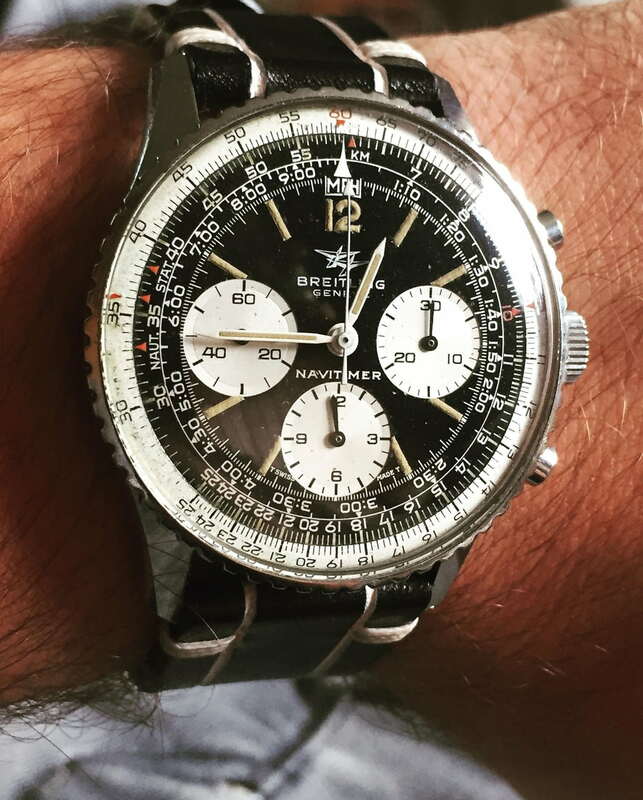 The picture Fred has posted is not familiar to me, so this belongs to another watch. Therefore I would say the case back is indeed the right one. Back to the lume issue, this is tricky. Would there be a definitive way to end the discussion, I mean to be able to say whether the lume is original or not? 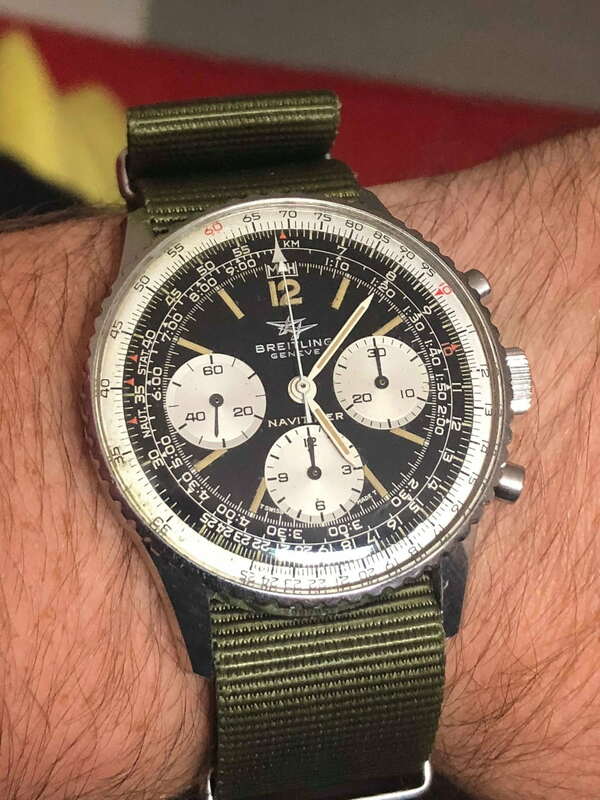 Further, what do you guys reckon the value of this watch is A if lume is original and B if not? 100% relumed markers and hands....!!!! I lume all the time and everything. I know the result of luming with hands. I believe luming was already mechanized with tubes in the 70's, meaning it was somewhat cleaner than doing it with hands. If I look at the markers, I see definitely this is a hand work. Therefore the lume is not original, because there is no way this watch had so much environmental impact, like the rust and dirt on inner bezel and the case back and plenty scratches on the case and lugs but has such a perfect lume? The half life of Tritium is 43 years, meaning after that it should start to fall apart, if it is not sitting in a safe. The lume looks so thick, I bet it is still glowing somewhat. I dare to say that even the dial and hands aren't 48 years old. 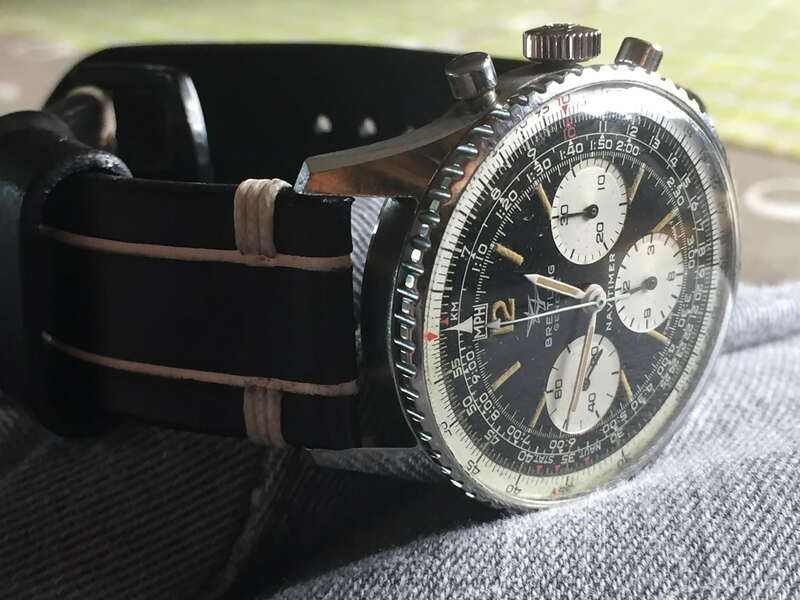 I have sold plenty of Navitimer 806 hands and there is no way they stay so white after 48 years, but the inner bezel, which is 100% not original, is yellower. I have a 806 right in front of me, completely disassembled, and I can't believe that this watch doesn't have a single environmental protection like a gasket in and around the bezel? Even if you smoke or fart next to this watch, it will have some impact on the color of hands and dial, therefore I would say this beautiful watch was given a really nice make over sometime in its life. 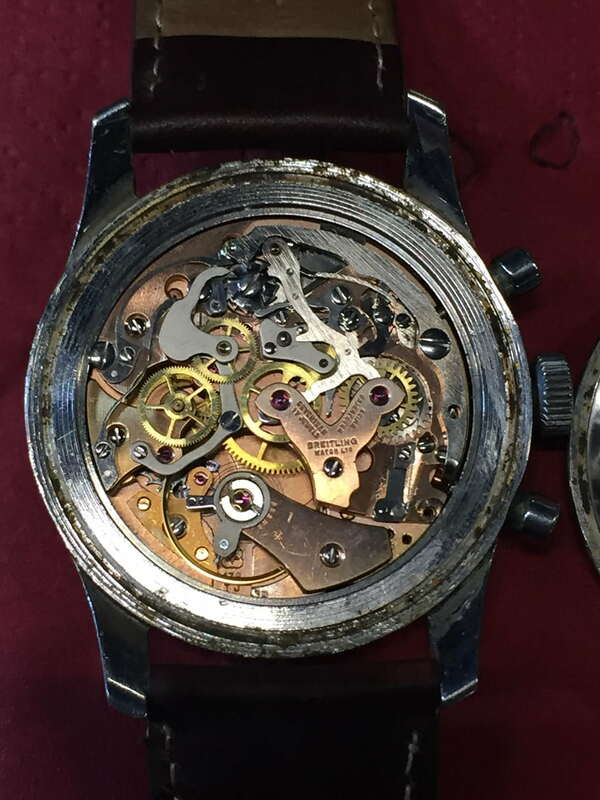 The caseback could be a service part, because again, it is cleaner than the case itself. And something is bugging me that 806 (Venus 178) casebacks have the serial number inside, this one has it outside. Now to your question of the value change if the lume is original or not, I would say that it was the Rolex boys, who invented the all original fetish. And if you listen to their argument, it just doesn't make sense. It is coming from people, who don't have a clue about basic physics. They say straps are like tires of a car and can be changed but anything else should be original, which is complete BS. How about the Brakes? or engine parts like a broken piston? Friction is the enemy of everything moving. A movement needs to have parts (wheels and levers) changed the same way a car needs to have breaks renewed. The lume has to be renewed, the same way the lights of a car has to be renewed. The hands on my 806 have a really nice cream color but the lume looks like a 90 years old Indian woman laughing (broken teeth). I will definitely do something about that. Therefore, in my opinion, this watch doesn't lose much value even if the dial is a service dial or lumed. And yes, the lume was a really good job. I hope I don't get grilled for my above opinion.